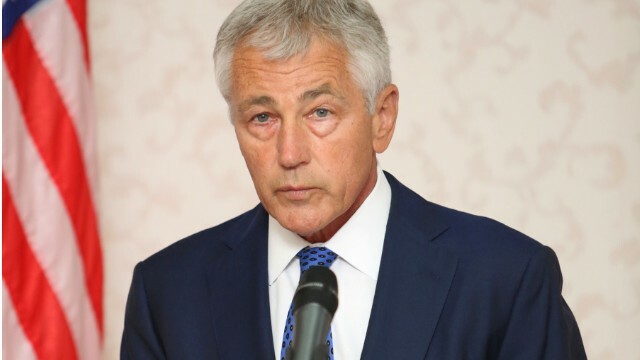 Defense Secretary Chuck Hagel announced Saturday that "most [Department of Defense] civilians placed on emergency furlough during the government shutdown will be asked to return to work beginning next week." The ongoing government shutdown has left more than 800,000 workers furloughed for the past five days - roughly half of those are civilians working for the Pentagon. Hagel says Pentagon and Justice Department attorneys have concluded that the law does allow the Department of Defense to eliminate furloughs for employees whose responsibilities contribute to the morale, well-being, capabilities and readiness of service members. Hagel says he's directing that employees who fall under these categories be identified. "I expect us to be able to significantly reduce - but not eliminate - civilian furloughs under this process," Hagel said in a statement. WHY WOULD YOU SEND NON-ESSENTIAL PERSONNEL BACK TO WORK? Our government is shut down but Israel will still get its welfare. you all can blame who you wish for the shut down. it will stay shut down until one political party or the other caves into the demands of the other. the question remains who and when? millions of people will suffer greatly,for many reasons, if this continues too long. This is not an option for our country. I'd much rather read sugestions about how to go about solving the differences. Reading this venomous stuff if getting old. And it's not working!!!!!!!!!!!!! The whole shutdown is a joke, just like the country. Obama promised change, we got it, someone else at 1600 Pennsylvania Ave, and nothing else is what we got. 300,000,000 Americans have been getting screwed while the top 0.00002% (Obama and his boys) get away with murder. Well said, Homer. Don't forget about the thousands, if not tens of thousands of people this clown has murdered with those ungodly drones and Apache helicopters half way around the world. Obama and his henchmen need to be indicted and tried for crimes against humanity at the I.C.C. but won't, tragically enough! Remember, Israel comes first! US citizens just don't matter to our Congress! We have to protect Israel, right? Why? I like my SEALS. Gov shutdown? They are like F that we don't need a vacation. Lets go whip some as. Any chance we can send them to congress? Thank you for serving boys. Hope all went well. Would be awesome if a site went up so we could buy those guys a beer. (obviously more would be donated than you guys could drink and it would need to go to helping families of those who gave all). Of course they can, but what about the thousands of elderly, young children and poor people who can't get medical or educational services for lack of money coming from the government? This the right-wingers in Washington care nothing about, only the godless, well financed war machine that no one needs so that some big wigs can fatten up their bank accounts!! !